Chairman of the ruling Peoples Democratic Party, PDP, Delta State, Chief Edwin Chukwunwike Uzor, has joined issues with the Delta state chapter of the All Progressives Congress, APC and its gubernatorial candidate, Olorogu O’tega Emerhor, over allegations that the Governor Ifeanyi Okowa led administration in Delta State has failed Deltans so far. In the said article, titled: ‘IF ONLY IT WAS O’TEGA IN DELTA’, Mr. Onokpasa had raised several grave allegations against Governor Okowa and his administration of Delta State so far, amongst which is the accusation that while Governor Okowa has remained stuck in the past in which, according to Onokpasa, “he was a major player in the kleptomania PDP”, O’tega Emerhor would have engaged public spirited individuals and ensured a paradigm shift from the past. 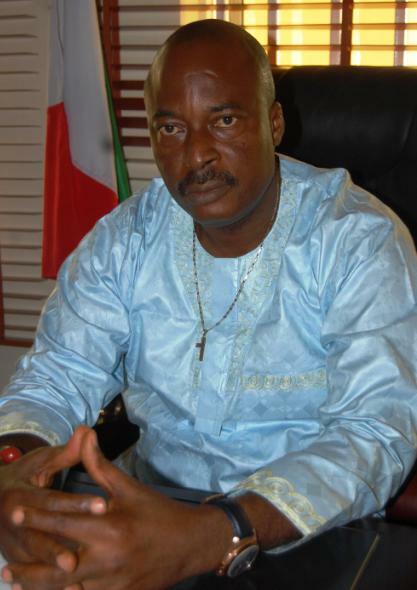 Onokpasa also took the Okowa administration to task on the contentious sacking of over 3000 ‘validly employed youths’, describing the act as not only done without due process, but has equally tarnished the image of ‘bona-fide Deltans by claiming that they bought their employment’, but suggested however, that O’tega Emerhor as Governor, would have “refrained from the cruelty of sending so many innocent citizens into unemployment”. Another damning criticism levelled personally against Governor Okowa, by Onokpasa, was that he could stomach the hypocrisy of pretending he did not know about the profile of Delta State, a matter which attracted considerable anger to the Okowa administration, from certain quarters in the early days of his administration, even as he suggested that O’tega Emerhor would have made a clean break from the past and set up a machinery to recover stolen funds. Barr. Onokpasa equally accused the Okowa administration of setting up what he described as a whitewash Asaba Capital Territory Development Agency, which he has now sold dubiously to Deltans as an Intervention agency, which will surely increase the debt burden of the State by creating additional bureaucracy, whereas an O’tega Emerhor administration would have conscientiously embarked on developing Asaba with the numerous numberless and largely comatose agencies already on ground. But in a swift and frontal response to the article authored by Jesutega Onokpasa, Chief Edwin Uzor, went to great lengths to debunk the allegations of hypocrisy, non performance, lack of visionary leadership and victimization, levelled against Governor Okowa and his administration, even as he listed areas where the administration has performed excellently, within the less than three months since its inception. Chief Uzor, in a 10 point statement, titled: RE: IF ONLY IT WAS O’TEGA IN DELTA, reacted thus: “The attention of the Peoples Democratic Party, Delta State Chapter, has been drawn to a publication on a page 39 of the Vanguard Newspaper of August 19, 2015 credited to one Jesutega Onokpasa who claims to be a lawyer based in Sapele. “In that write up, the author attempted, in a most laughable manner, to wish it was Olorogun O’tega Emerhor of All Progressives Congress, APC, that was Governor of Delta in place of His Excellency, Governor Ifeanyi Arthur Okowa of the PDP. “1. That the author, as a lawyer he claims to be, should have known that wishes are not horses which beggars would ride. “2. That there is no basis, whatsoever, for any reasonable man to compare O’tega Emerhor and his party, the APC to our Governor, His Excellency Sen, Dr. Ifeanyi Arthur Okowa and our great party, the PDP in Delta State. “3. That the author is either not a Deltan or was out of the country during the electioneering period, otherwise, he would have known that all the Governorship candidates, including his O’tega Emerhor, went around the state to sell their manifestos and canvass for votes but his O’tega Emerhor was totally rejected at the polls because, Deltans never believed in him and his Party’s manifesto. “4. That the author appears not to know the difference between the present and the past, otherwise, he should have known that the present administration in Delta State is a sharp departure from the past in structure, appointments into key positions, policies and programmes. “5. That the PDP government in Delta State under His Excellency, Governor Ifeanyi Arthur Okowa is on course, with well thought-out programmes encapsulated in the S.M.A.R.T Agenda aimed at bringing prosperity to all Deltans. “6. That the Okowa administration believes in due process and transparency, which were lacking in the botched recruitment of over 3000 persons by the Delta State Civil Service Commission, hence the suspension of the commission members by the last administration. “7.That the Okowa administration, in expression of its resolve to meaningfully engage 6000 youths in 6 months, has rolled out the Youth Agricultural Entrepreneurs Programme ( YAGEP ), Skills Training and Entrepreneurship Programme ( STEP ), Production and Processing Support Programme ( PPSP ), Tractorization, Extension of Loans and Development of Agro-Industries. “8. That the Okowa administration, in its determination to develop the State Capital, has graciously created the Delta State Capital Territory Development Agency to achieve this task without increasing the debt burden of the state. “9. That the issue of debt burden is not peculiar to Delta State. In fact, the APC controlled States are the highly indebted States, while Delta State is least indebted. “10. That Deltans should treat the publication with the levity it deserves and increase their support for the PDP government in Delta State under His Excellency, Governor Ifeanyi Okowa. Chief Edwin Chukwunwike Uzor (JP).